The Quilted Turtle: What's Wrong with this Picture? 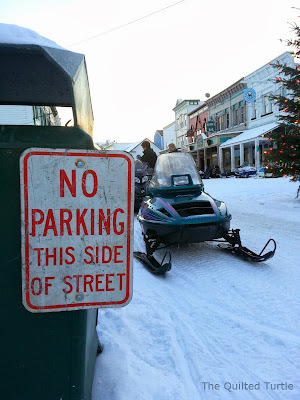 With all the snow we've gotten lately, our snowmobiles are out and everyone is happy. Well, most of us are happy. I think the police are getting a tad frustrated with some people's parking habits. Just stopping by to wish you and your lovely family a very Merry Christmas!